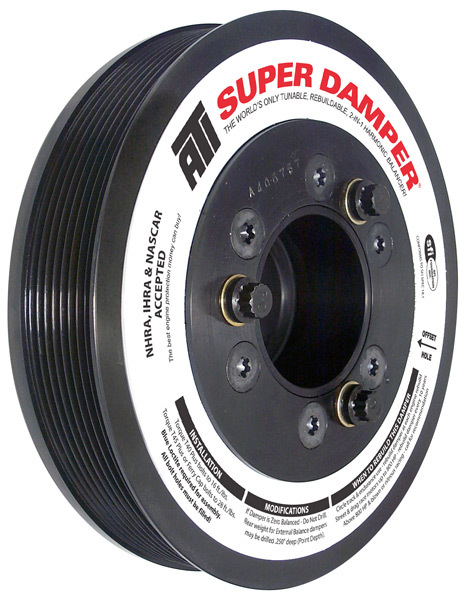 Trusted by top shops like SoCal Diesel, Pure Diesel, East Coast Diesel, Diesel Innovations, Power Products Unlimited & more! 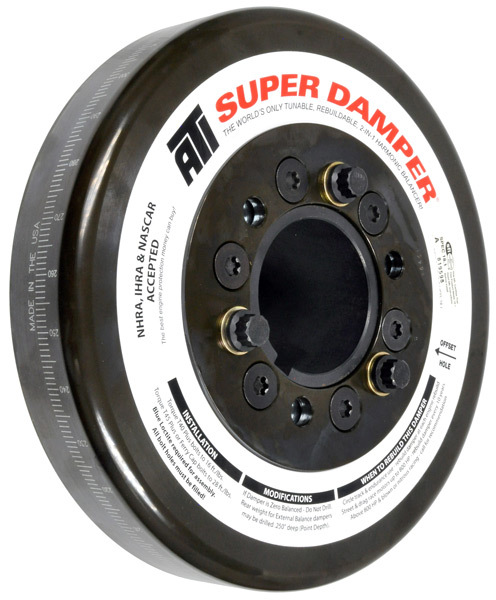 Whether you have a mildly tuned street 5.9L Cummins or a 700” International Sled Puller, ATI has a damper to fit your needs. 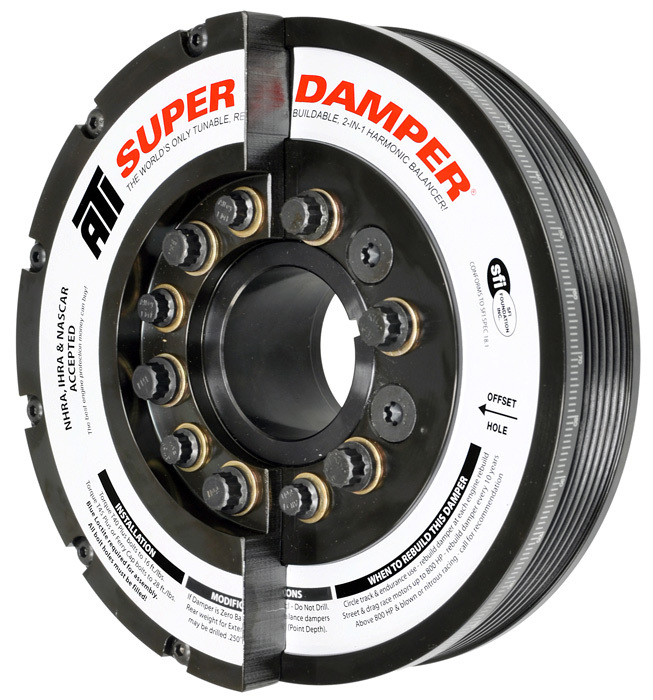 At ATI we’ve been building elastomer Super Dampers for nearly 30 years and we know how to build them right. 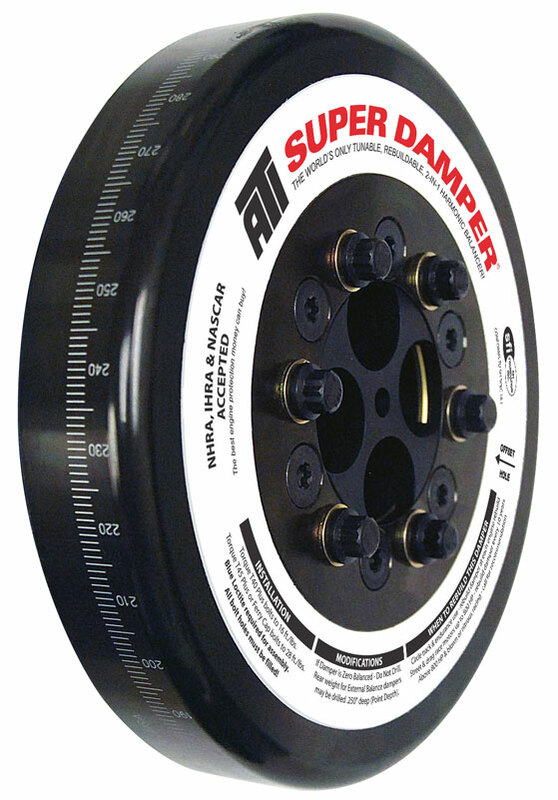 ATI Diesel Dampers range from 6” to 10” in diameter and weigh between 10 to 36 lbs. 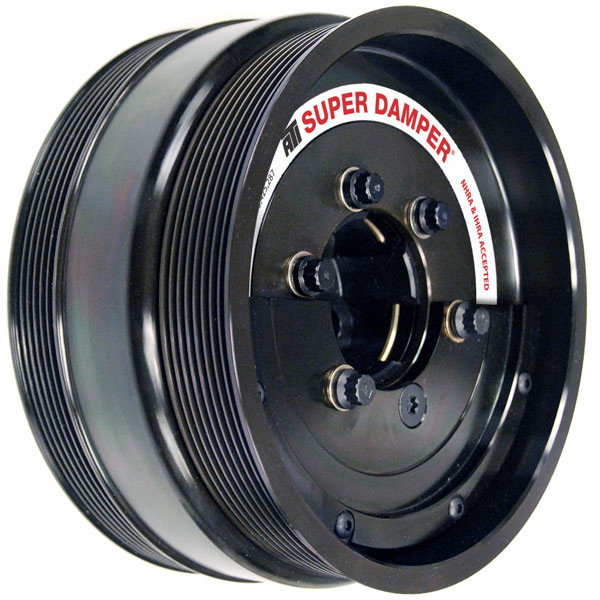 They are tuned in-house to fit your exact application, and if you make a change, your Super Damper can change too. 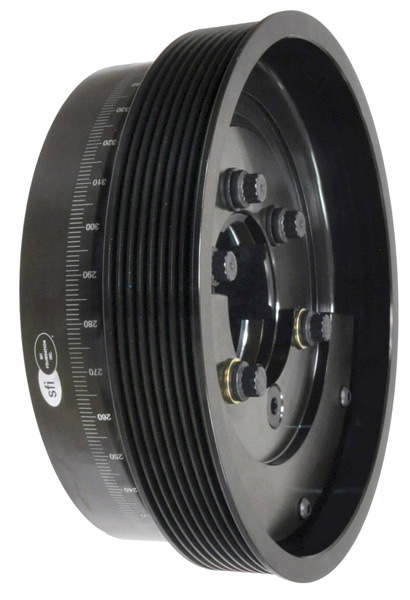 Each part is replaceable and rebuildable. 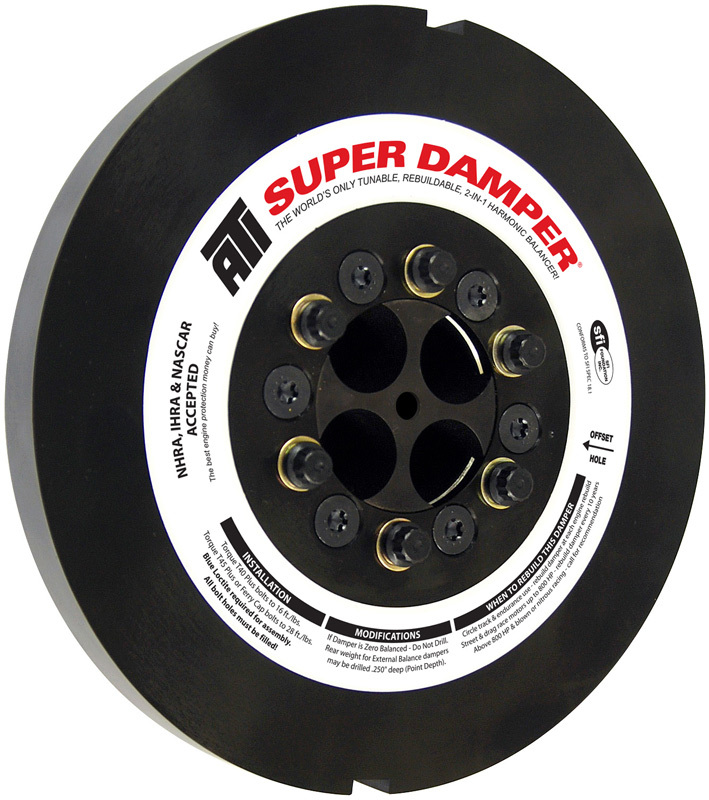 No need to replace your entire damper at service intervals or if something happens. 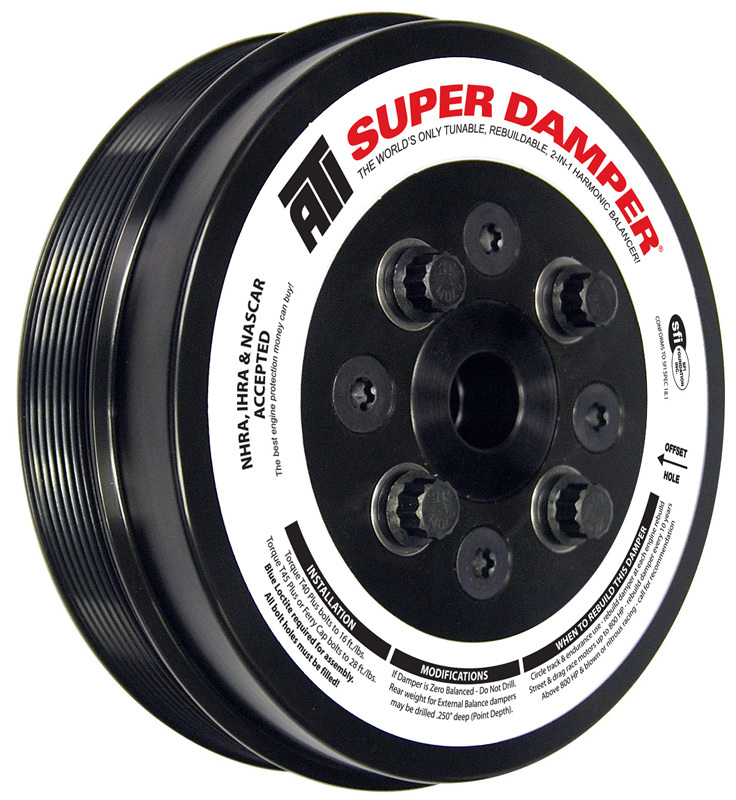 Don’t be fooled, treat your diesel engine like the professionals do, with an ATI Super Damper! How much power do you make? 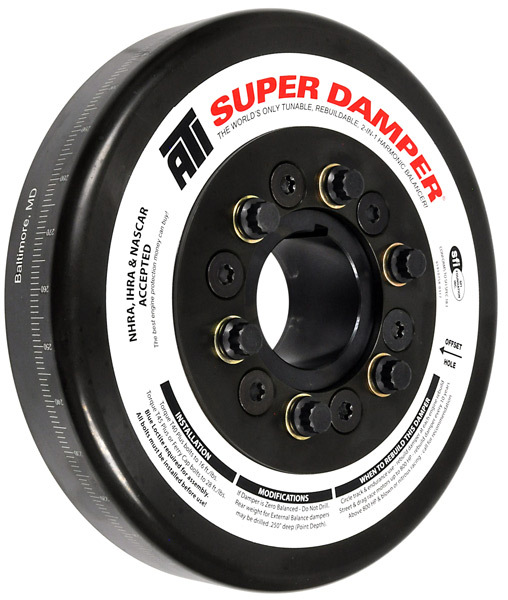 OEM service calls for 2 year replacement! 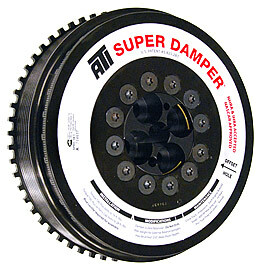 Damper OD is 9.254”. OEM tach sensor may be relocated from 11 o’clock to 3 o’clock. Order ATI bracket kit #917373BKT ($80). 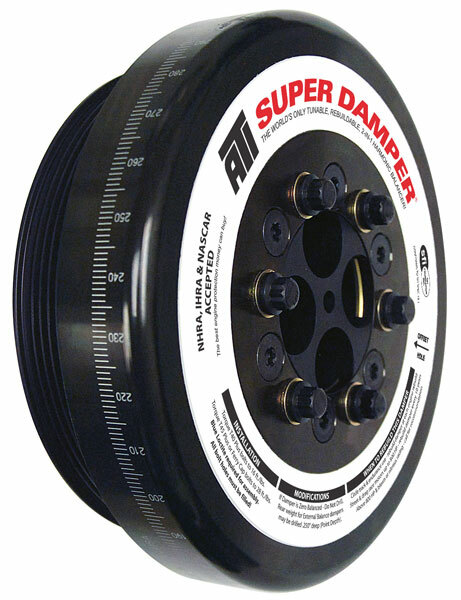 Shell assembly 917114 includes 8 groove trigger wheel. 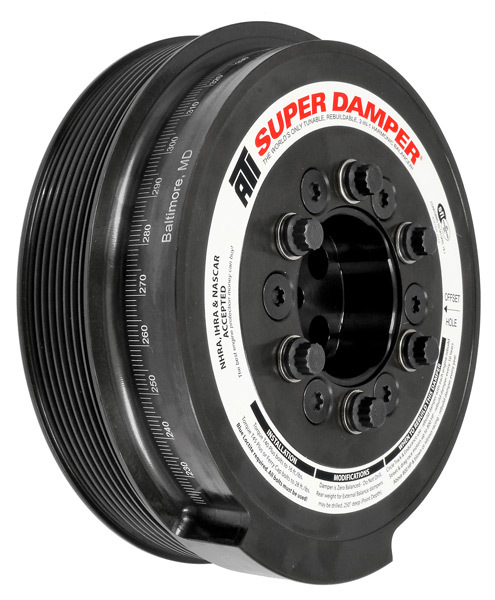 Requires front pulley #916118 for dual alternator. 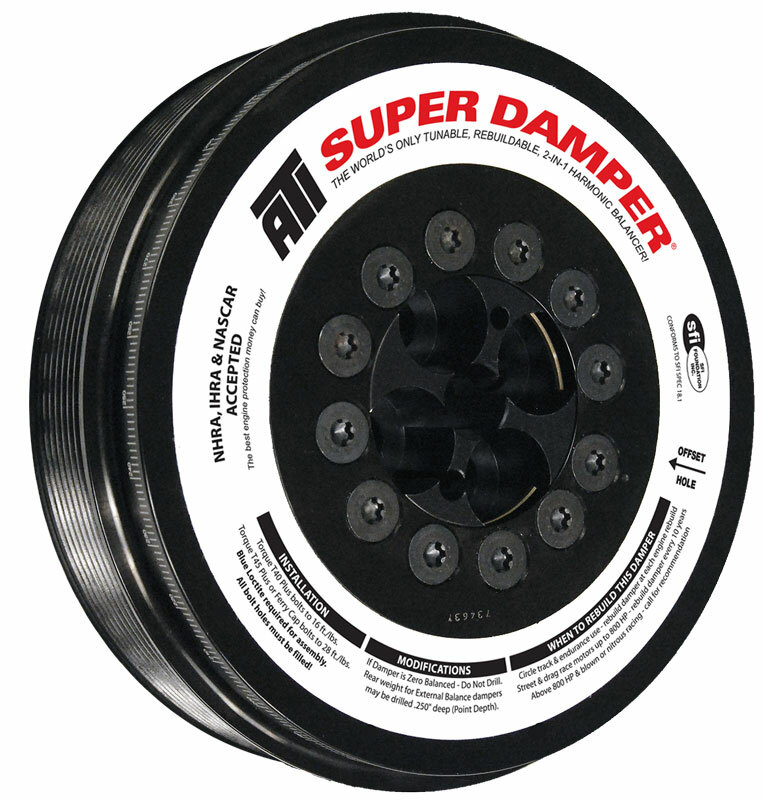 Damper is 12% OD. 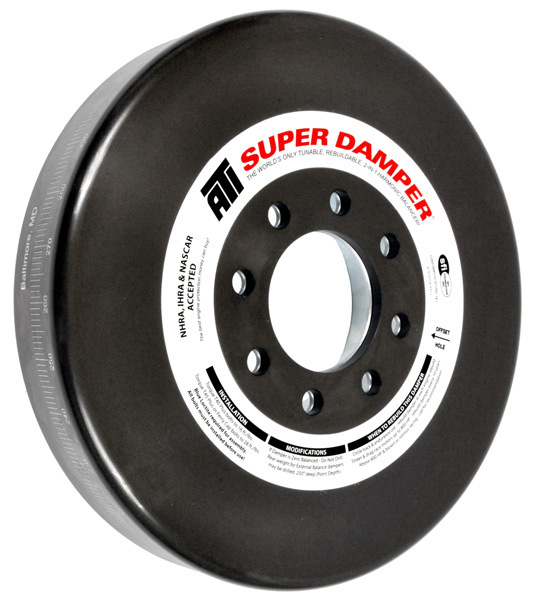 Use NAPA belt 25-081253. 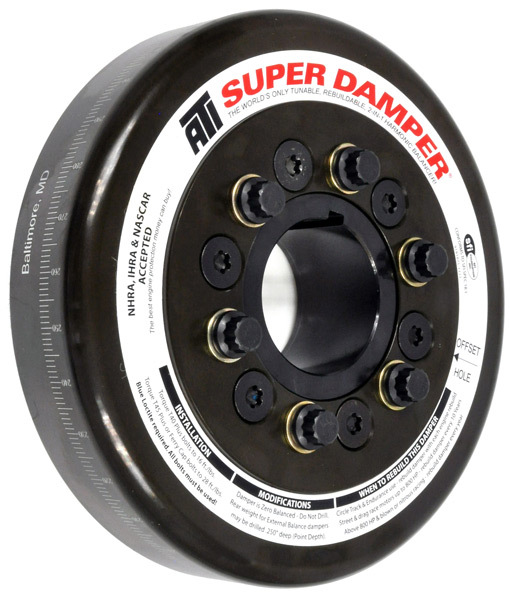 This damper is NOT an OEM replacement! Race application only! 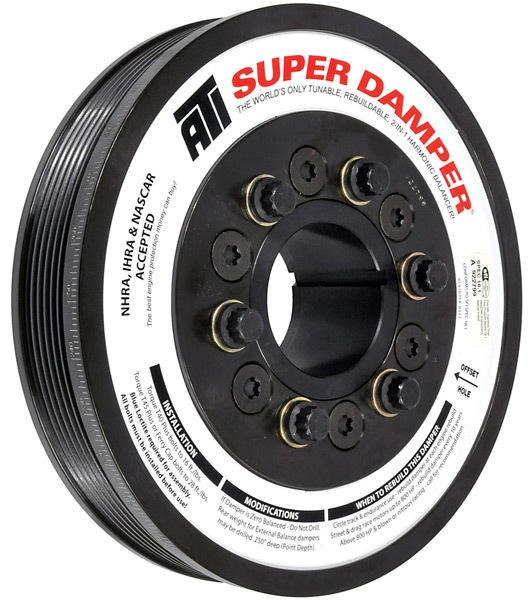 Contact ATI for before ordering. 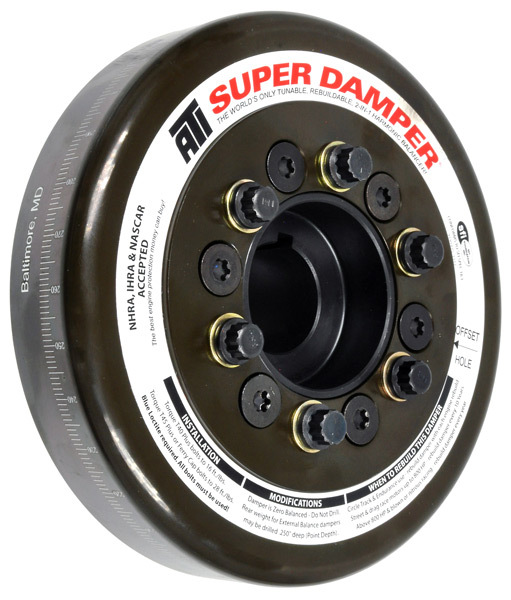 This damper is NOT returnable.